Praise God for new partners! We had an opportunity to work with a local ministry today. It all started when Mission: Mobility volunteer Debbie Hills in Pennsylvania put us onto a need that Bethel had. Debbie indicated that Bethel was seeing a need for some of these. Also the need to repair some that were already in the area. 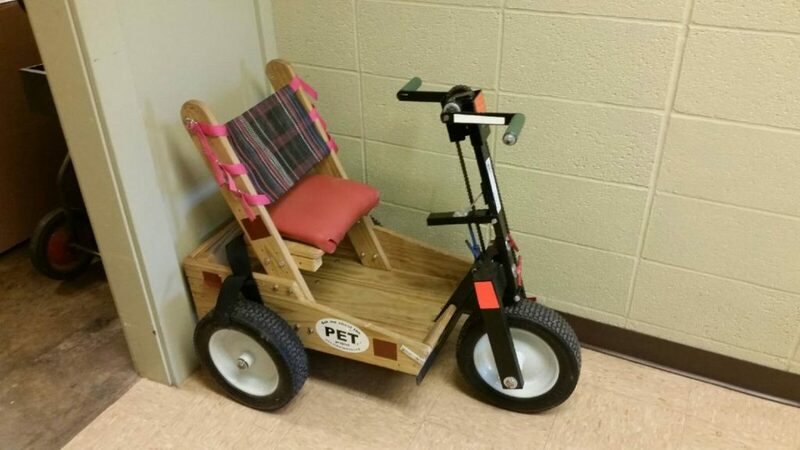 These PET carts are cool little carts that are peddled by hand. It provides mobility for many across the world. PET International is based in Columbia Missouri. They have 20+ branches across the country. The group we met today is in Leighton Iowa. The focus of PET is to build these units and provide them around the globe to provide mobility to those in need. The secondary focus is to provide a productive way to SERVE for retired folks across the country. At Leighton, we were given the grand tour of their facility. An old school building, now the workshop. It was inspiring to see the assembly line type setup they had. They hand build and hand paint the wooden body. The metal frames are welded by local farmers in their shops. Then the metal pieces are taken to a local machinery manufacturer who paints them, for free. Each cart is them assembled, tested, then disassembled. 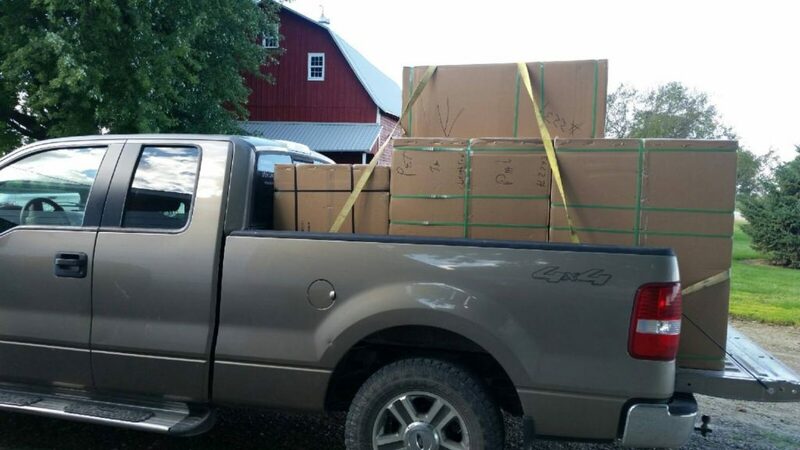 They are then boxed and prepared for shipment. These dedicated volunteers work 2 days a week. Last year, this group built 550 carts. Many go to Africa and Haiti. They have a container full order destined for Haiti to go out in a few weeks. 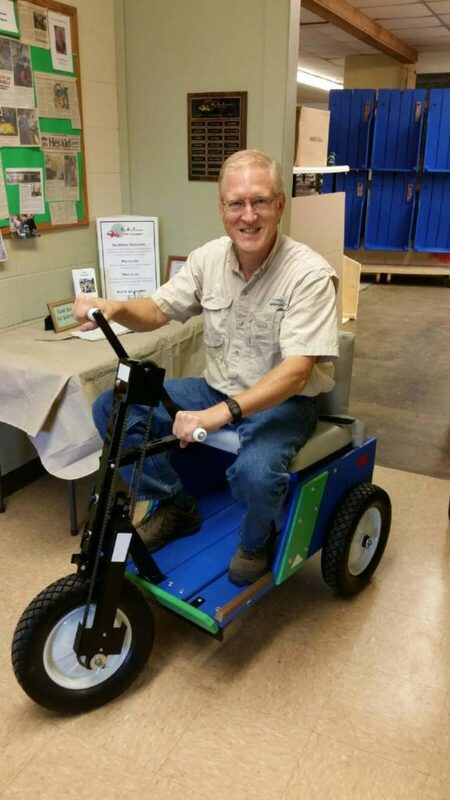 Today, John Mitchell from On His Path and I picked up 7 adult carts. These were actually assembled, tested and boxed today! We also got 3 kid carts. These were actually produced in the Columbia Missouri facility. 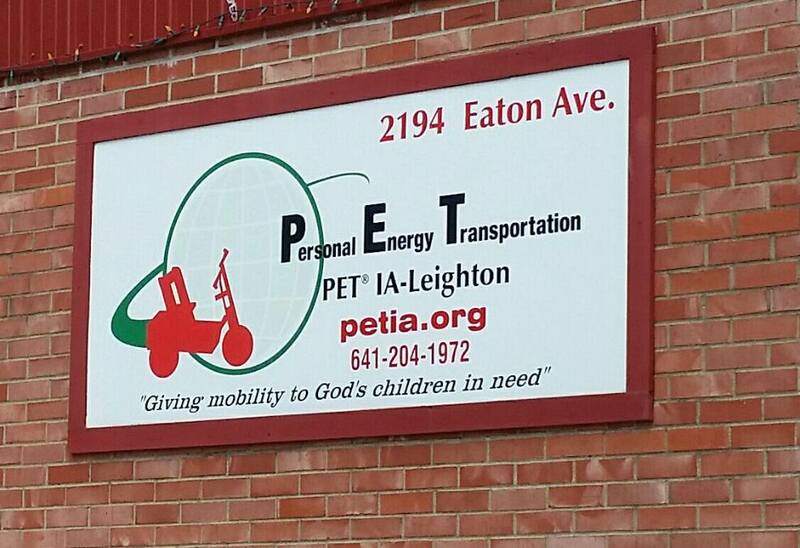 It was a blessing to visit PET International today! I love their mission statement. It reminds me of our mission! This entry was posted in Uncategorized on September 3, 2016 by rfultonmission.